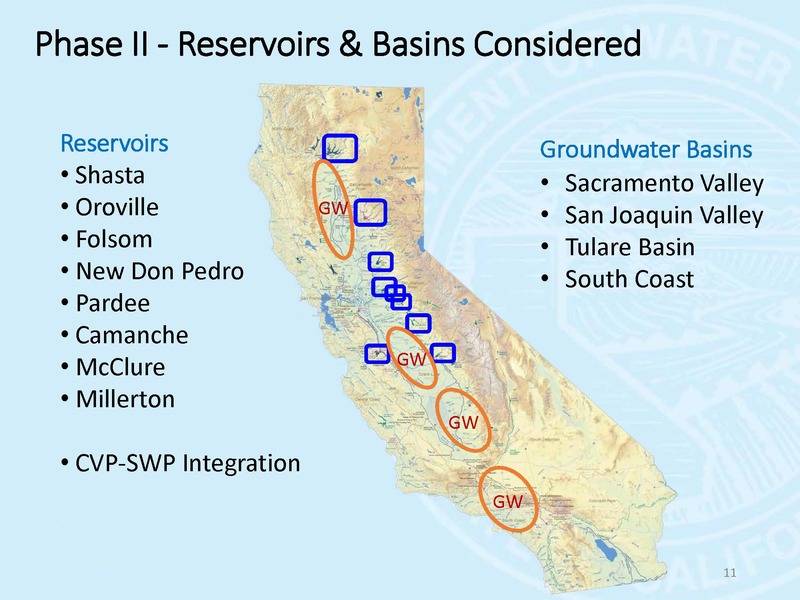 The nine members of the California Water Commission have been given a task: to decide how to award the $2.7 billion in Prop 1 funds slated for water storage; twelve projects have submitted applications. In order to be better informed prior to making the decision, the Commission has been hearing from panels of experts at its monthly meetings. In September, the panel title was 21st Century Infrastructure, and present to inform commission members were Kamyar Guivetchi from DWR Division of Statewide Integrated Water Management; Dave Bolland, ACWA’s Director of State Regulatory Operations; and Dr. Roger Bales, Director of UC Merced Sierra Nevada Research Institute. 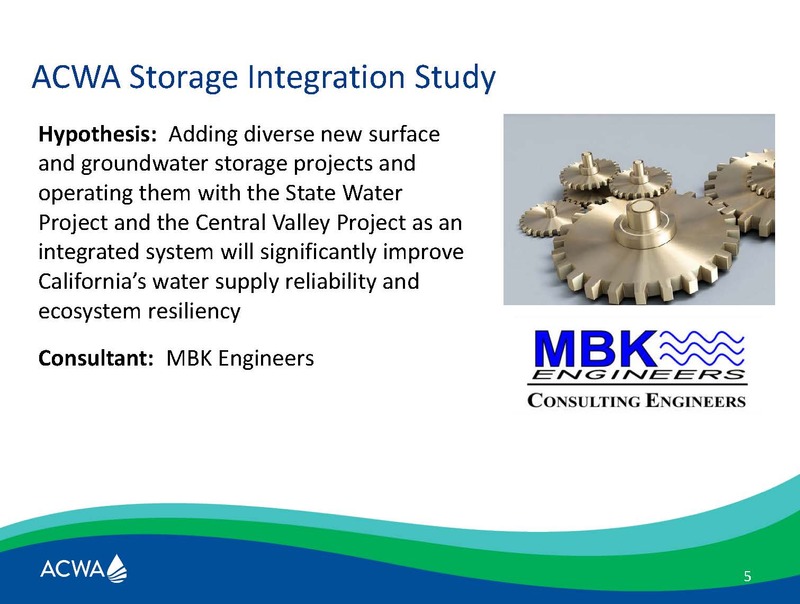 Statewide Integrated Water Management Division Manager Kamyar Guivetchi discussed the System Reoperation Study and how it relates to other work underway by the state and others. 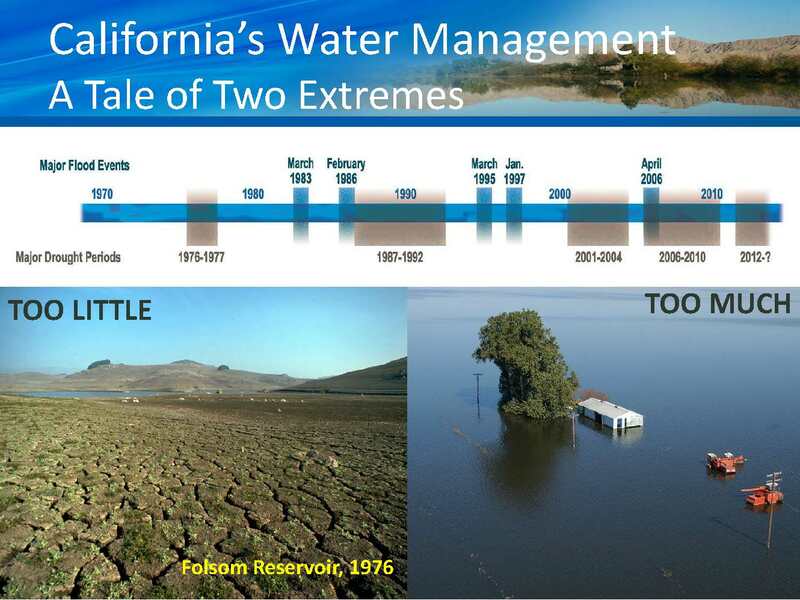 He began by reminding that California water is a tale of extremes: We get most of our rain in the winter; use a lot of water in the summertime. However, climate change and the tremendous growth and development that California has had is making the consequences of those extremes and the extremes themselves become more challenging than before. The recent five year drought is going to become a trend with California water and we have to change how we think about managing it, he said. The snowpack has been and still is our largest surface reservoir; that is changing and will continue to change as the snow is melting sooner in the year and the snowpack itself is forecasted to become quite diminished over the rest of the century. 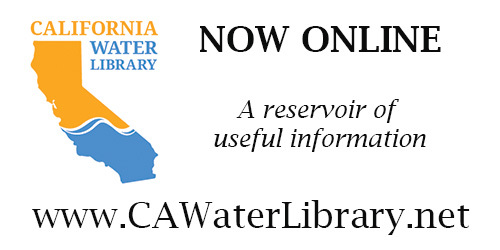 The foundational theme of the 2018 California Water Plan Update is sustainable water resource management and taking an integrated and holistic approach for managing California water that involves flood management, water supply management, water quality management, and ecosystem management. 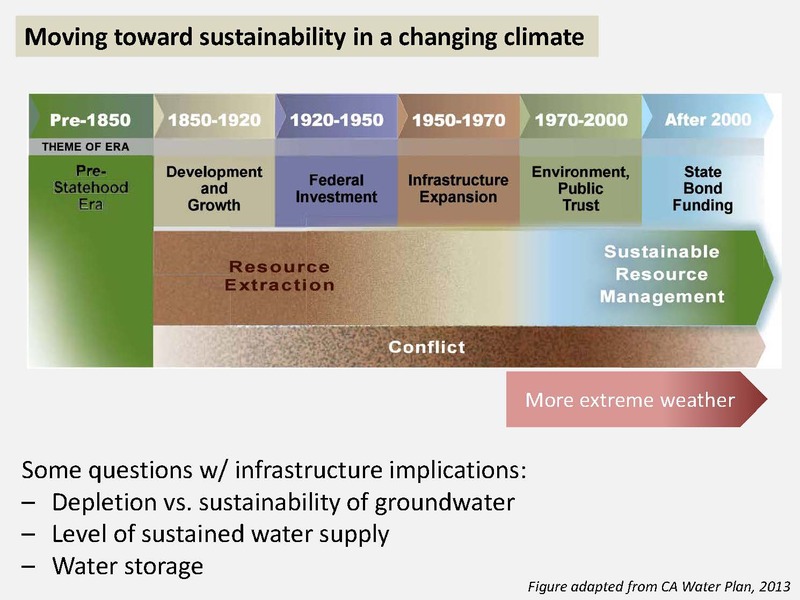 “We have to begin managing these in an integrated way, so while our panel title is the Infrastructure for the 21st Century, we really need to have a water management institutional framework for the 21st century, because those infrastructure are managed and operated by a plethora of institutions that were set up to be very specialized and did not have an integrated approach in mind,” he said. 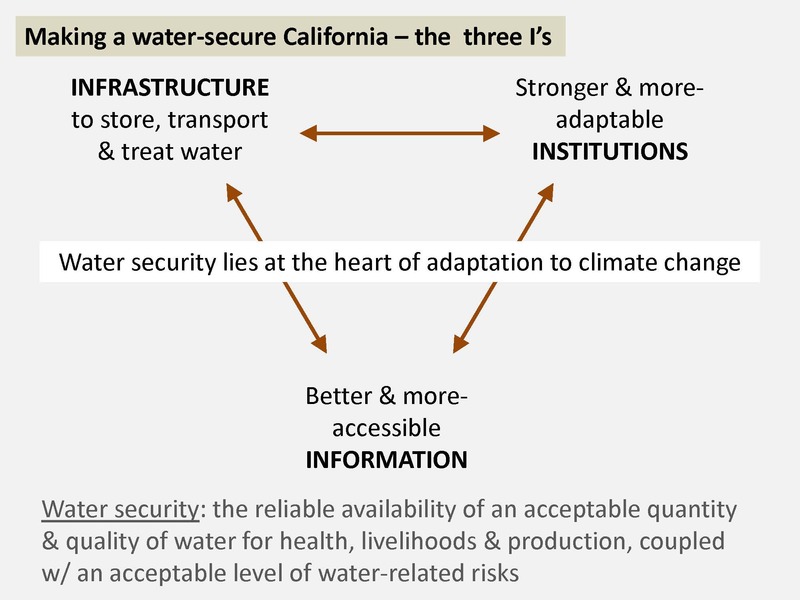 The water plan update will focus on defining what is really meant by sustainable water resource management in terms of outcomes and indicators. The Governor’s Water Action Plan calls for making the most efficient use of water and making water conservation a California way of life. “In fact, it has been our growth and development that has put that water to use, and we have to be able to, while continuing to grow and develop, do it in a way with more efficient water use,” Mr. Guivetchi said. 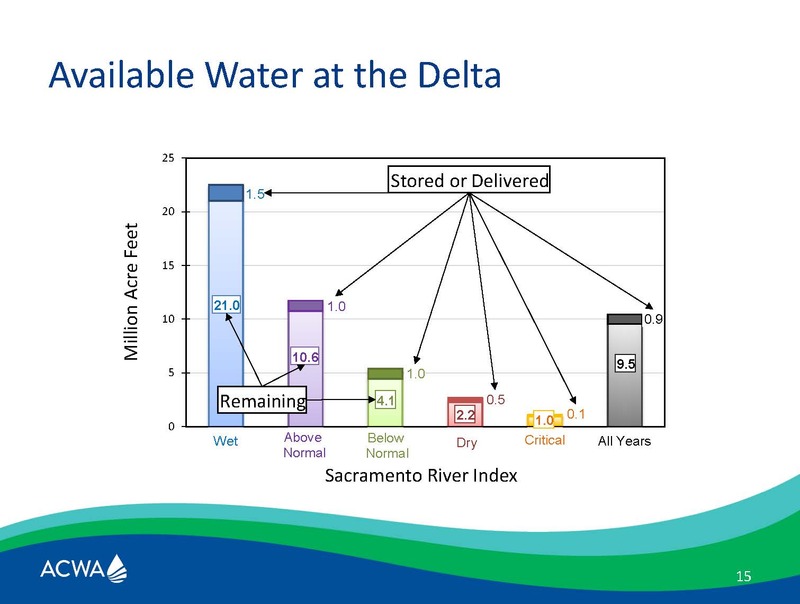 Mr. Guivetchi said that we need to do a better job of drought contingency planning. 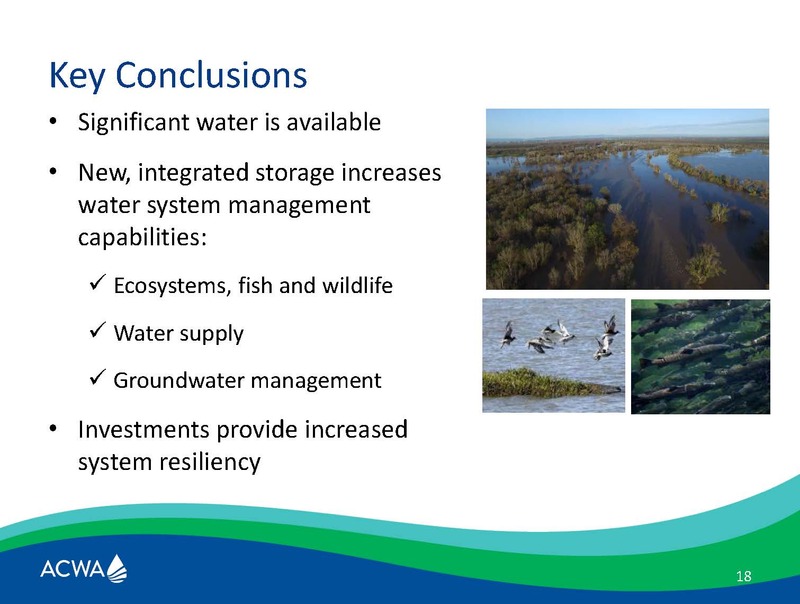 He also spoke of the need for flood management to be part of the solution, noting that the Central Valley Flood Protection Plan was just updated and approved by the flood board and it calls for a portfolio approach of managing flood while simultaneously looking at floodplain ecosystems and groundwater recharge. The passage of the Sustainable Groundwater Management Act has closed the loop on the state’s water cycle, Mr. Guivetchi said. 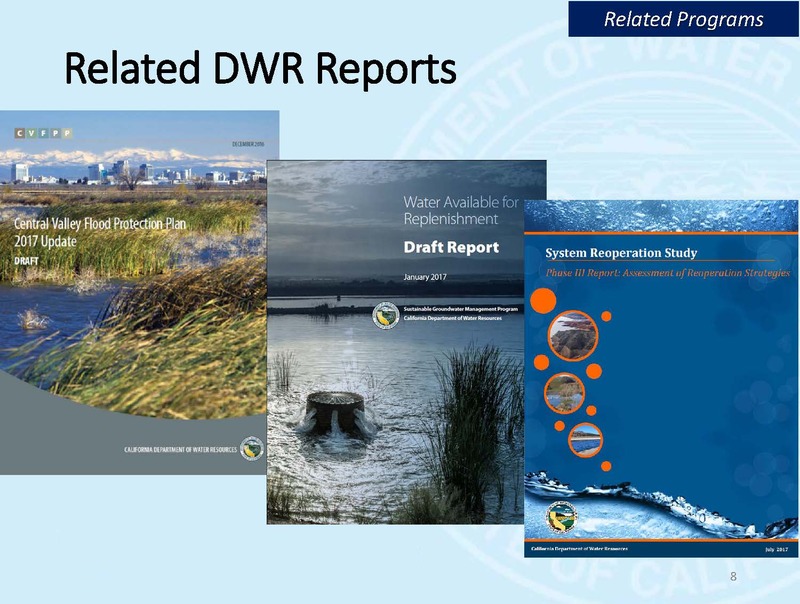 As part of the legislation, the Department of Water Resources was directed to do a study to determine how much more surface water is there available for groundwater replenishment. 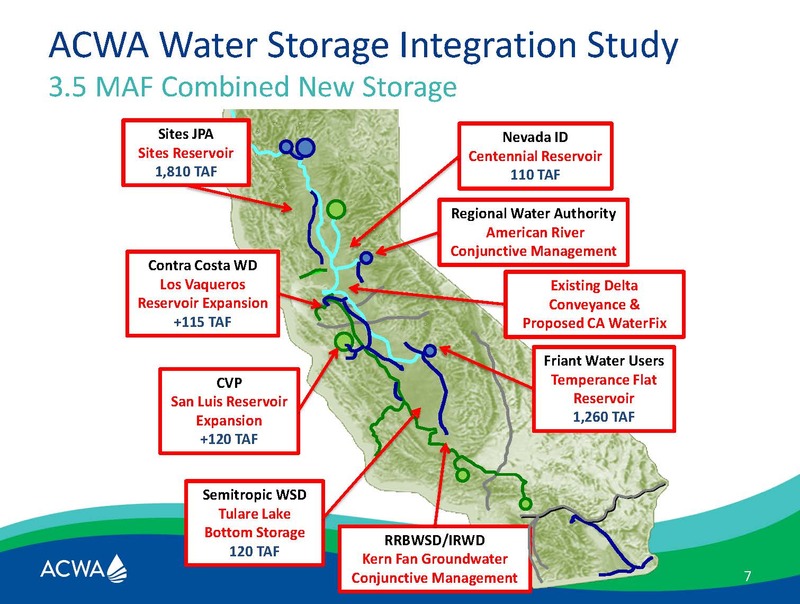 He indicated that the final report is due out in October, and it basically found that on average, there may be 1.3MAF per year available for groundwater replenishment. But he pointed out that California is not a bathtub. “That water is available in different parts of the state and would only make sense for replenishment in a more local regional setting,” he said. In the first phase of the System Reoperation Study, they looked at the building blocks of what they had to work with, and developed an engagement plan to work with facility operators. In the second phase, various types of reoperation strategies were developed, and in the third phase, they drilled down in more detail on some of them. 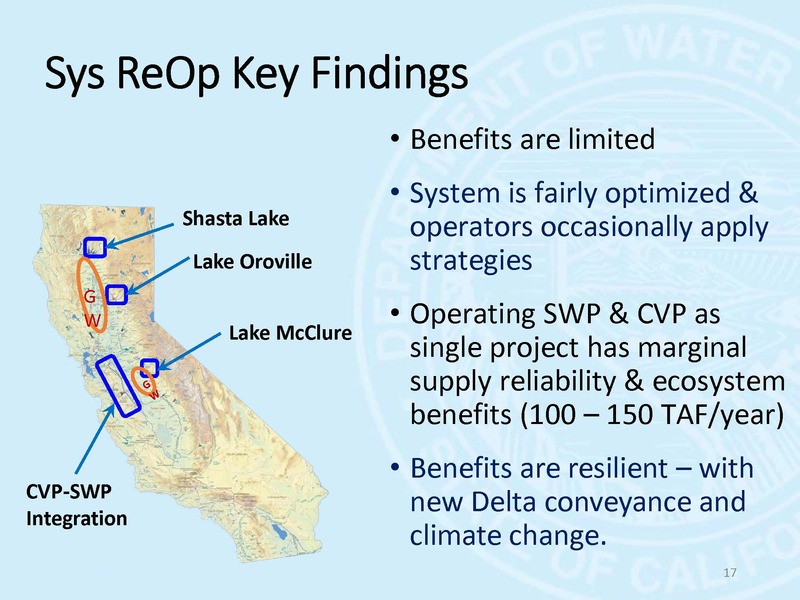 They found groundwater districts were very enthusiastic because they saw this reoperation study as a potential source of replenishing the groundwater basins, but the reservoir operators, not so much. So for phase 2, they looked at Shasta, Oroville, and Lake McClure, both in combinations and individually. 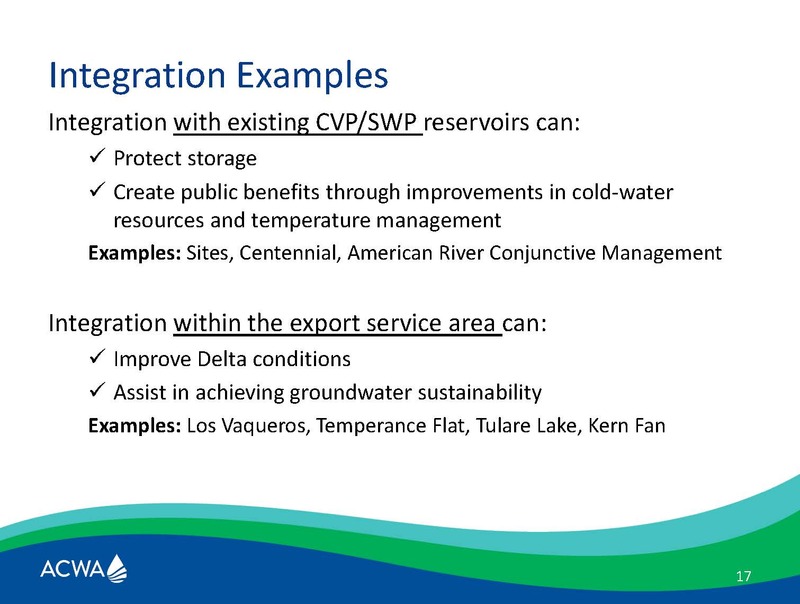 They looked at reoperation strategies, such as conjunctive management; providing supplemental flows, especially in the springtime for ecosystem management; and what could be gained by encroaching into the flood reserve space with what they call Forecast Based Operations, as well as considered the joint operation of the Central Valley and State Water Project by looking at shared storage and joint point of diversion. In phase 3, they did a more detailed study on these particular strategies. 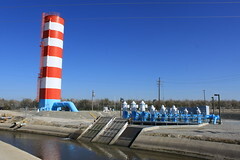 The consideration for the third phase of the system reoperation study was to determine what would be the effect of new facilities, and after learning that ACWA had embarked on such a study, Mr. Guivetchi said that they decided instead to explore what it would take, infrastructure- and institutionally-wise, to begin tapping into those really high flood flows that currently they are not in a position or able to access. 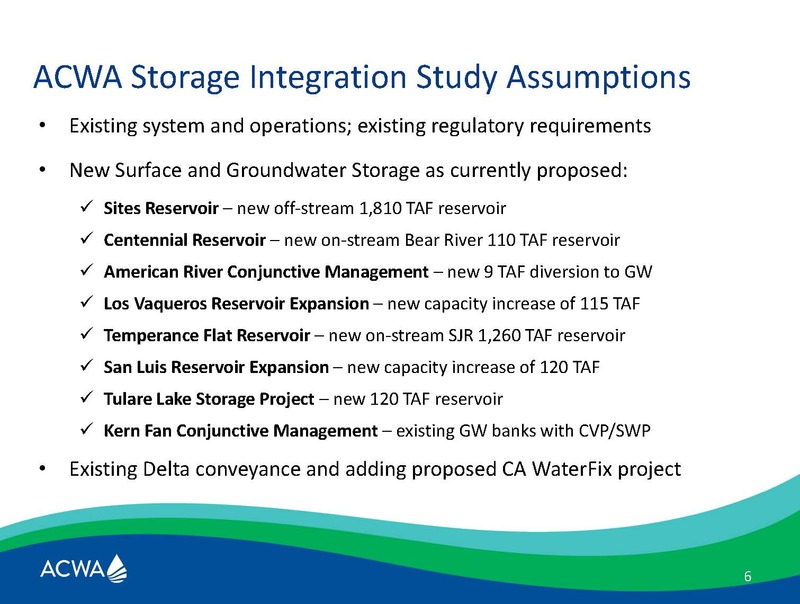 David Bolland, Director of State Regulatory Relations with the Association of California Water Agencies, began by saying why ACWA undertook the study and what the study isn’t. 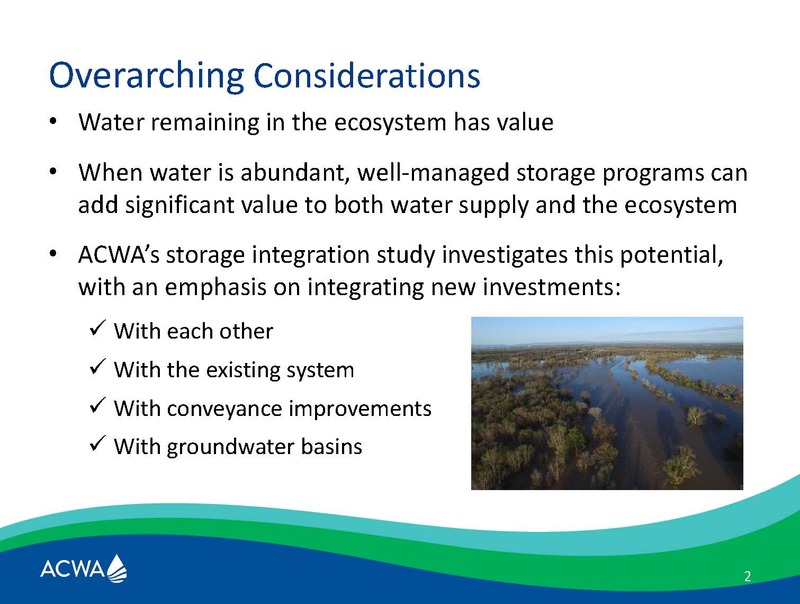 Mr. Bolland said that for more than a decade, ACWA released a blueprint intended to rally water agencies around a vision for multiple objective management. 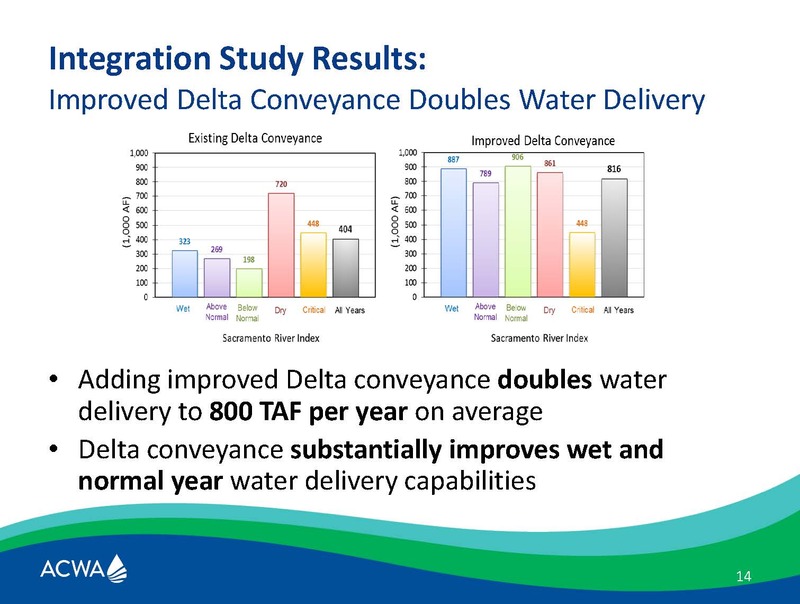 The Delta Plan adopted in 2013 reflected a lot fo that; the Statewide Water Action Plan that ACWA put out, they believe influenced the California Water Action Plan in a strong way. 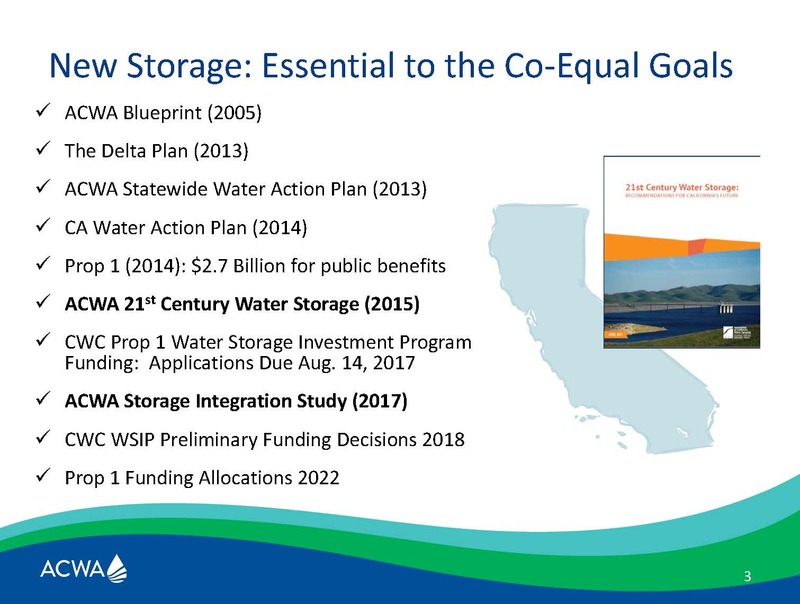 Then Prop 1 came along in 2014, as did SGMA, and a lot of things that kind of fit together in a policy framework; there’s $2.7 billion for public investments and storage. The Water Storage Investment Program’s regulations have been adopted, and applications are in the hopper right now. The study considered existing system and operations and existing regulatory conditions. Then the projects were added in their conceptual stage. The study considered with and without the California Water Fix project. 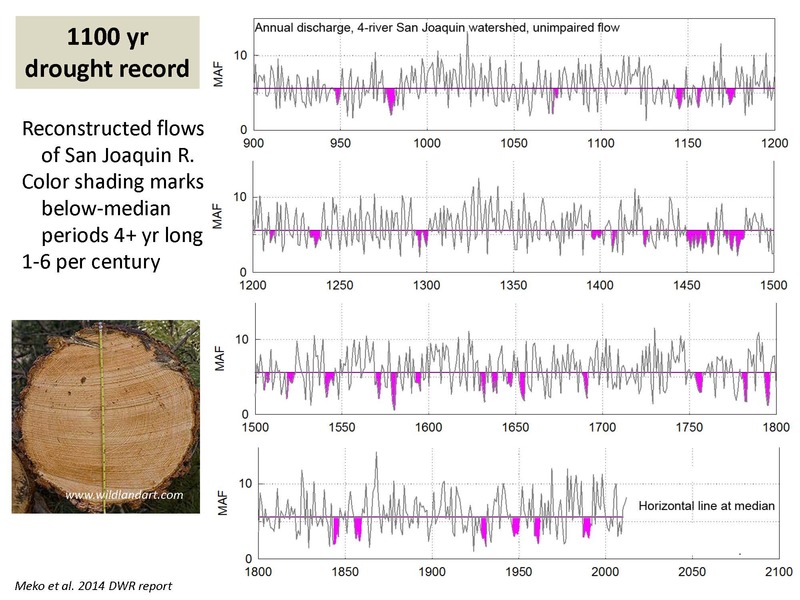 The modeling period for the study was historical; they did not model for future climate change. 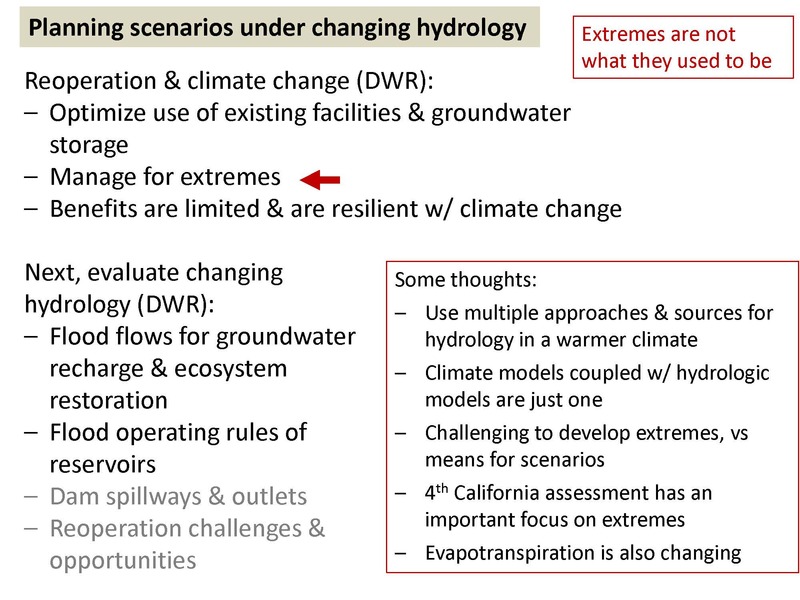 Mr. Bolland noted that there are a lot of parallel efforts on characterizing the proper regime for climate modeling, so they decided they would tackle what is known about the historic hydrology as the premise for their particular exercise. 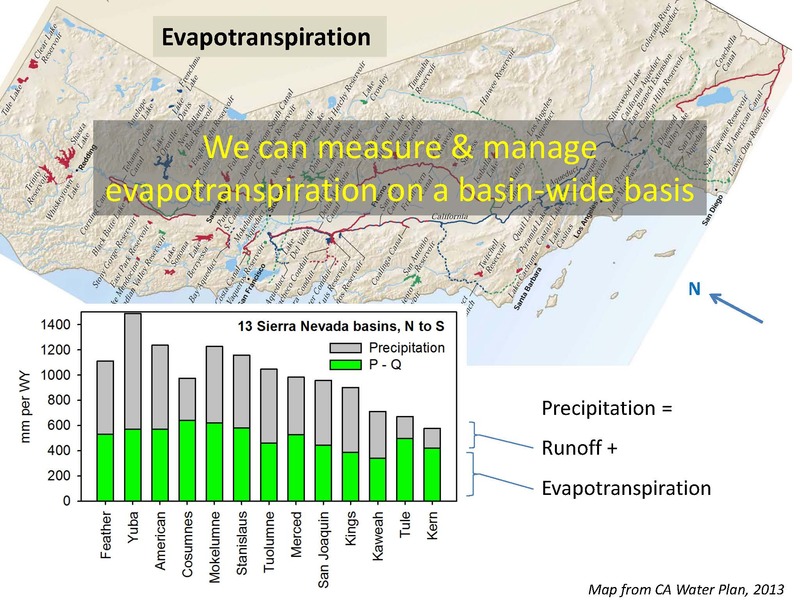 Dr. Roger Bales, Director of the Sierra Nevada Research Institute and Professor of the School of Engineering at UC Merced, then gave his comments on infrastructure and water data. He noted that his comments draws on work he’s done with a lot of collaborators. The Sierra Nevada Research Institute involves about 30 faculty at UC Merced. 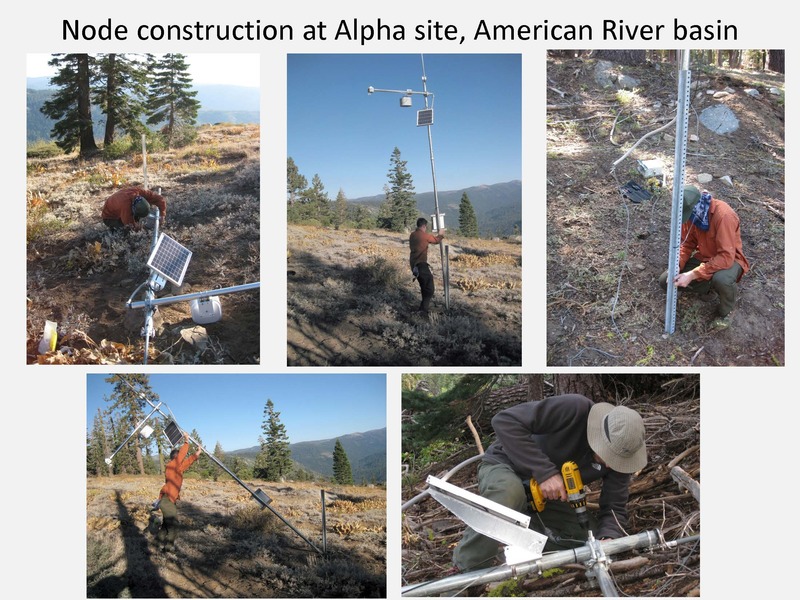 The UC Water Initiative is a multi-campus initiative within the University of California, and the National Foundation Critical Zone Observatory really applies to a lot of their work on new information systems in headwaters and understanding headwater hydrology. 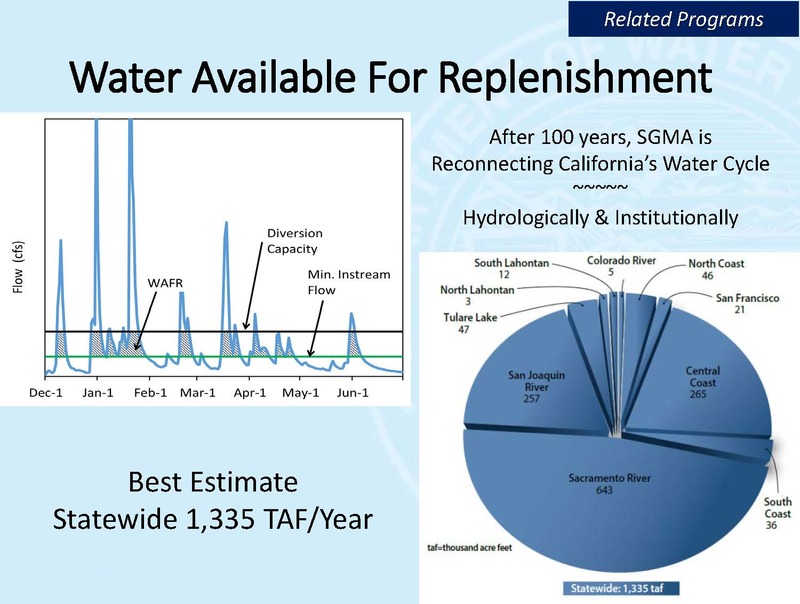 He presented a slide from the 2013 Water Plan, noting that it’s sort of a history of California around water issues. “As we try to move toward a period of sustainable resource management and reduced conflict, now we have one more arrow that we need to add that is affecting how we address these challenges, and that is the more extreme weather,” said Dr. Bales. He noted that water storage is critical for the state’s water security, given the Mediterranean climate. “We have the most resilient water supply system of any Mediterranean climate in the world, and we probably need more resiliency added through that storage,” he said. Dr. Bales chairs a working group that’s been conducting an internal study at the University of California called Strategic Communication to Achieve Carbon Neutrality. The University of California has committed to become carbon neutral in campus operations by the year 2025, and they are not sure how they are going to get there. “We’re just as uncertain as the Governor on how the state’s going to meet the carbon neutrality and greenhouse gas emission reduction goals that we have,” he said. The report is undergoing internal review before its release, but he gave a few of the findings. 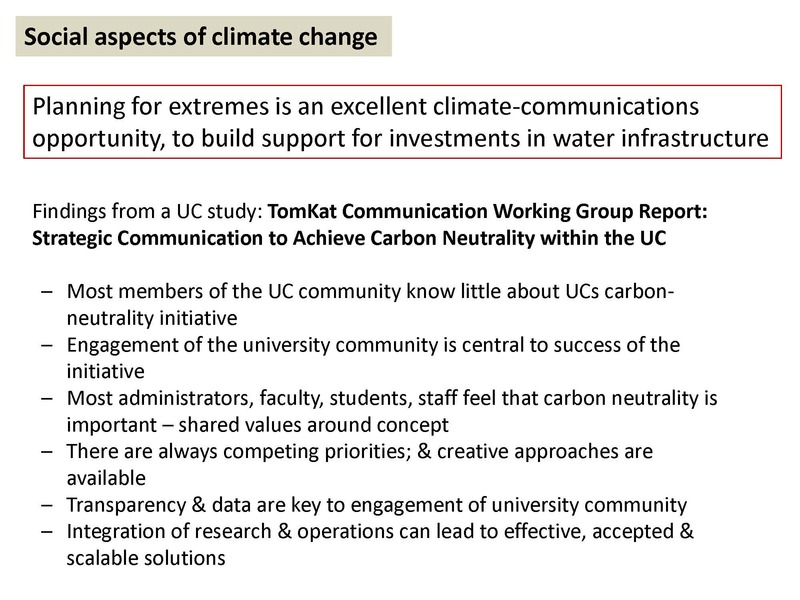 Most members of the UC community know little about the carbon neutrality initiative, and there are some parallels within organizations here in California in terms of measures to mitigate climate change and adapt what we can’t mitigate, he said. Dr. Bales recently wrote an op-ed with Michael Kiparsky on the need for better data and information to be connected to decisions. Their commentary noted that data and information are only as good as their usefulness for decisions and that we need to take the long view on climate and land-use change and think about what data we’re going to need in the future, he said. We need to do careful thinking on implementing AB 1755 and think long term and identify data gaps. 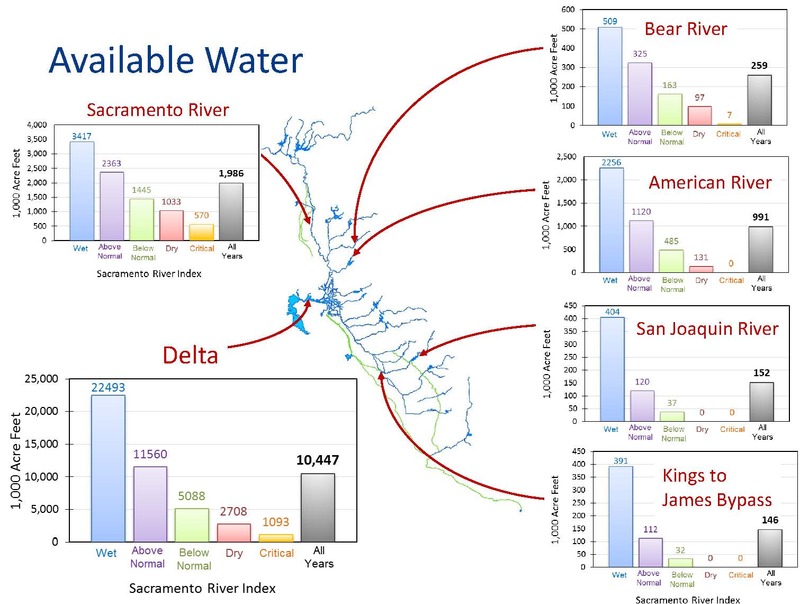 He noted they are working with PG&E in the Feather River Basin to bring better estimates of water storage, snowpack, soil, precipitation as snow and rain, snow melt, runoff, and other data to bear on hydropower operations and other aspects of water operations. 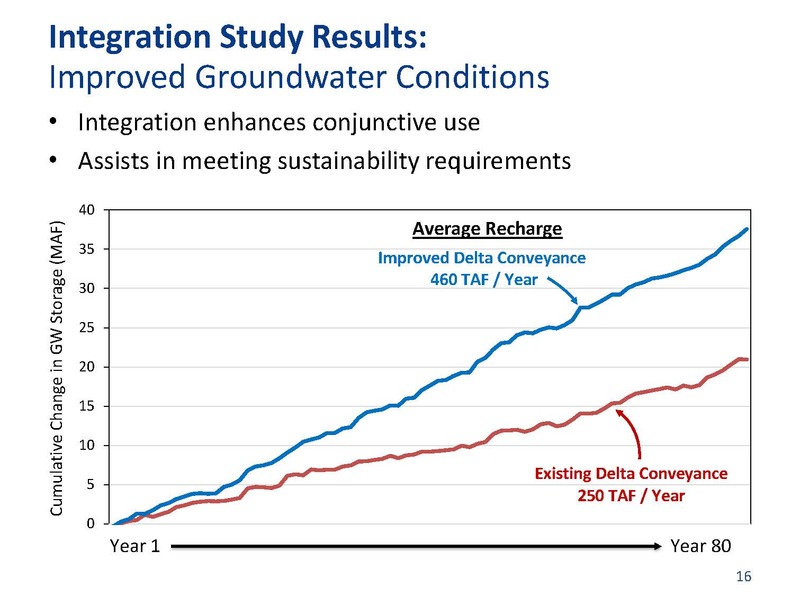 Commissioner David Orth asked Kamyar Guivetchi how much regulatory support was he getting with his integrated planning process, and to David Bolland, he asked how regulatory influence was assessed in the integration study – did they look at the current baseline or did they try to project where things might go with the State Board’s water quality control planning process? Commissioner Orth asked Kamyar Guivetchi what level of engagement he had in his multi-sector work and study implementation effort. Where’s the State Board on this? Commissioner ? : I would assume without additional storage, a certain portion of that would be lost. Click here for the agenda, meeting materials, and webcast link. 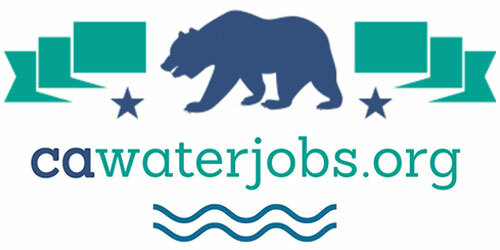 Here is my USGS recognized 25 year old 9000 acre $900,000,000 cost plan/”21st Century water infrastructure” investment , the “Monterey Bay National Estuarine Monument” (please see http://www.thebestthatmoneycantbuy.com for particulars). This $900,000,000 acquires the 9000 coast front production ag acres that run to and through Elkhorn Slough in Monterey County to Manresa Beach in Santa Cruz County for $100,000 per acre. Production ag land like this is worth around $50k per acre. However, this land has a higher value. It contains the highest concentration of invaluable threatened estuarine resources of anywhere in this country. Ballpark, each acre of ag land uses 3/a/f/yr of pumped well water at this location for 27k/a/f/yr. 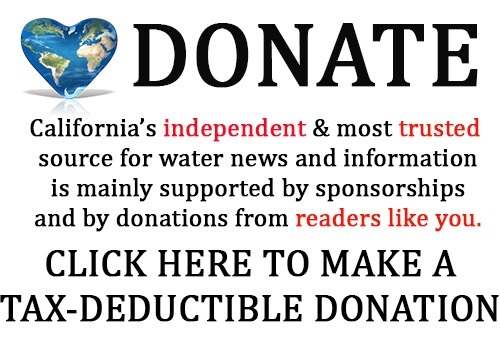 If these wells were not pumped, 27k/a/f/yr of well water would be conserved in perpetuity at this most critical location (which is responsible for both Pajaro and Soquel-Aptos basins being now officially critically overdrafted) and additionally this same unpumped water would be effectively recharged by simply being left alone as the highest possible quality of water that could possibly be “injected” there with the absolutely best technology that has been proven perfect over eons of testing by Mother Nature herself … or no? … that’s 14885 gallons of conservation and recharge per minute forever for free and no further/future salt water intrusion in either Aptos-Soquel or Pajaro. … “Show me the infrastructure”?